In the latest of our series of geographically challenged scammers, here we have a moron pretending to be Brian Moynihan from Bank of America in Brownsville, Wisconsin and using a Nigerian mobile phone number. The Management of the Bank of America Corporate Office Brownsville: 505 Main St., Brownsville, WI 53006-0283 wishes to inform you that after a brief meeting held by the Bank executives on, the 04th Day of October 2016 at precisely 8 a.m. Eastern Daylight Time(EDT), we deem it appropriate to intimate you that your funds will be transferred into the United States Treasury Account with the JP Morgan Chase Headquarters at 270 Park Avenue in New York according to the record we got from Africa due to your inability to complete the transaction and your failure to meet up with a minor payment obligation.The actual transfer of your funds($15,000,000.00) into the government account comes up next week. This is in line with the instructions of the USA Treasurer, Mrs.Rosa Gumataotao Rios that all unclaimed funds be paid into the United States Government Treasury Account as unserviceable funds in compliance to section 3 subsection 1(a) of the United States Financial Law enacted in 2001 after an attack on our dear country on September 11,2001. If we receive the MTCN today,we will transfer your funds ($15,000,000.00) before we close office and the funds will reflect 3 hours after the transfer.We will send you all the transfer documents to enable you start making cash withdrawals from your bank account same day the funds are transferred.We have waited for so long and we cannot continue to wait. Back in November 2015, I wrote about “David Gates” http://www.scamnumbers.info/blog/2015/11/21/you-have-to-admire-his-persistence/ and his daily emails to a victim that never responded. “David” eventually gave up, but now I have “Mr. Olabisi” who has written to me nearly every day for the last 3 or 4 weeks with a variation on the same email. As a matter of urgency, you are advised to get in touch with us before MRS.CAROLYN MEAD. made away with your BOX. Do you advise us to deal with her on your behalf and deliver your box to her address? But if you did not send anyone to act on your behalf, you should reconfirm your (ADDRESS, TELEPHONE NUMBERS IMMEDIATELY). First we had the FBI in Benin – http://www.scamnumbers.info/blog/2017/01/21/scam-of-the-day-21st-january-2017-the-fbi-move-to-benin/ now we’ve got the Benin’s Federal Ministry of Finance using a US phone number. CALL OR TEXT +1810 4204 153..
fund in an ATM card and a special Agent (Mr. Jerry Leo) is delivering your ATM card. clearance and forward it to the Diplomat for clarification by the Dayton Airport customs Authority. it to the diplomat for the delivery of your ATM card to your destination. has to be sure before he can deliver the package after the custom clearance today or tomorrow. delaying his movement to other places that he needs to go. Thank you for your understanding. 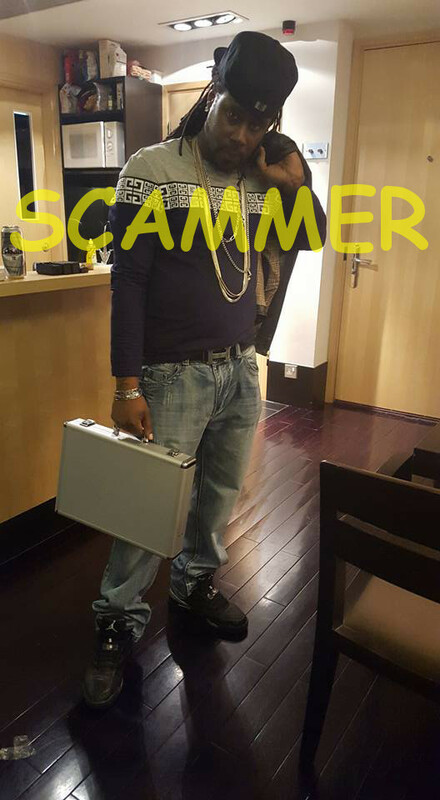 Scam of the Day 23rd January 2017 – What’s My Name??? Scammers steal/buy scripts from each other and as many of them are barely literate and just add their contact details to the existing scripts, you often end up with the confused mess like the mail below where the scammer doesn’t even know his fake name. information to enable them give you Sender Name:Joiner, to track the MTCN= 260-468-56. Senders SurName:Shabangu MTCN Number: 62272243.Sender’s Name: Ojadi MTCN: 69231415. Some scammers are just too dumb/lazy/poor to go the extra mile to make their scam believable. 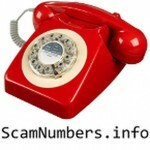 This dumb scammer is claiming to be the FBI in Washington DC, but is using a Benin mobile phone as his contact number. Series of meetings have been held over the past 2 weeks with the secretary general of the United Nations Organization. This ended 3 days ago. It is obvious that you have not received your fund which is to the tune of $2.5million due to past corrupt Governmental Officials who almost held the fund to themselves for their selfish reason and some individuals who have taken advantage of your fund all in an attempt to swindle your fund which has led to so many losses from your end and unnecessary delay in the receipt of your fund.for more information do get back to us. Pay before the one day you save $300 note that any one asking you for some kind of money above the usual fee is definitely a fraudsters and you will have to stop communication with every other person if you have been in contact with any. Also remember that all you will ever have to spend is $100.00 nothing more! Nothing less! And we guarantee the receipt of your fund to be successfully delivered to you within the next 24hrs after the receipt of payment has been confirmed. DO NOT SEND MONEY TO ANYONE UNTIL YOU READ THIS: The actual fees for shipping your ATM card is $500 but because TNT have temporarily discontinued the C.O.D which gives you the chance to pay when package is delivered for international shipping We had to sign contract with them for bulk shipping which makes the fees reduce from the actual fee of $500 to $56 nothing more and no hidden fees of any sort!To effect the release of your fund valued at $2.5million you are advised to contact our correspondent in As the delivery officer ROBERT WALKER. Below is the information you will use to send the $56 via money gram or western union money transfer. Some scammers are so dumb, they even manage to mess up a scripted email. Below are the informations he sent to us. Please if your not the one that instructed him then don’t hesitate to be in touch with us and kindly get the needed fee remaining to finalize the issue of your gift send with bellow information VIA MONEY GRAM okay. Thanks for your understanding also waiting for your urgent respond with the payment details, your urgent response will be highly appreciated. Feel free to call me on my direct line +229-98609718 if you have any queries. Some scammers are just plain dumb. “HRH Prince Michael Sheffield” AKA “Qur’aan El Bey” is one example, who probably has an IQ lower than that of a house brick. This dumbass claims to arrange Financial Instruments, sell gold, oil and diamonds and trade in copper, all while being a member of the British Royal Family. Buckingham House, the family’s London home built by John Sheffield, 1st Duke of Buckingham, now known worldwide as the Queen’s official residence, Buckingham Palace. Thats right, this dumbass really claims that his grandmother is 45 years old. But not only that, if you Google Samantha Gwendoline Sheffield, you will see that she is now Samantha Cameron and is the wife of British Prime Minister David Cameron. Here’s a couple of pictures of this dreg of society. 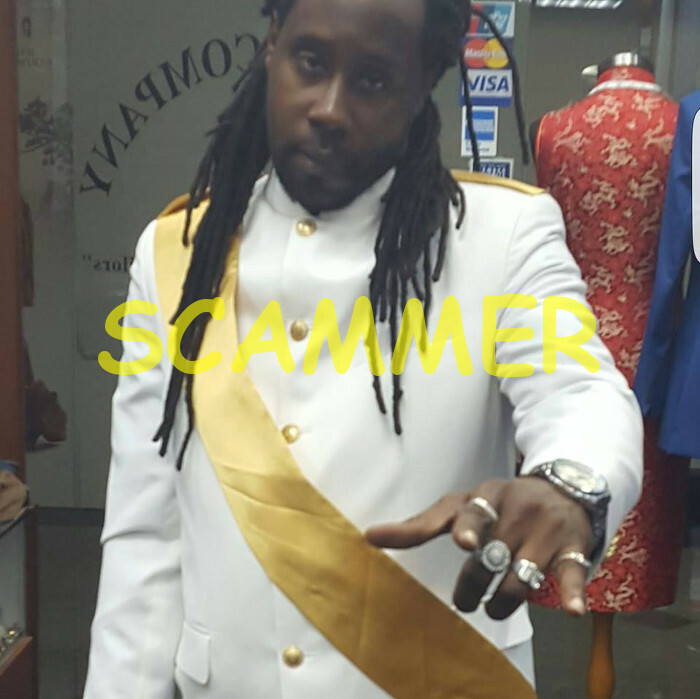 Scammer “HRH Prince Michael Sheffield” playing dressup with his little friends. You have to admire his persistence. Nearly every day for the last 15 months, I’ve logged into one of my scam baiting email boxes and there is invariably a new email from “David Gates” or someone asking me to contact him. I’ve never replied to him or given any indication that the email address he is writing to is live, but still he continues to contact me. I can’t decide if he is a total moron or a mailing program gone mad. Regards your mail response,I am glad to tell you that your inheritance funds is real and is intact in our security vault here in Nigeria. I ma not hearing from you again. There is time for everything in life and its come once in a life time,among many people around the globe few enjoys the benefits of there inheritance knowingly or unknowingly whilst others funds goes into Government treasure in the absence of contacting the true beneficiary for claim. God in is infinite mercy signifies you to this inheritance and its yours,all you need to do to see the funds sent to you for real soon is to follow every instructions given to you by the officials. You have some token fees to pay which has be given to you earlier,this will validate the authentication of your inheritance funds to be deliver to your care asap as true beneficiary of the said funds as it has been long due to be claim in our vault until we got your true contact. GOOD NEW. YOU CAN CONTACT THE WORLD BANK TODAY.IF YOU STILL ALIVE. Always remember that World Bank of Nigeria PLC will do everything possible to make sure that you receive your fund successfully without any further delay. I am contact you at the earliest opportunity. From The Payment Office World Bank. Compliment of the day to you, This is to inform you finally about your Outstanding Compensation payment. I wish you to following my instruction giving to you. I strongly advice you to handle this with discretion and Trust to see it gets to you asap. I am still waiting to received the western union or Money-gram payment information today. You should get back to me today with the receives name which is DANIEL EMERENINI giving to you. Hope you have Mr. DANIEL EMERENINI his working I.D card with you. Please open your attachment now. Here is the name blow again through Money Gram or western union money transfer, how to send the money. I will like to have the MTCN through (SMS) short message service with my private office telephone No: +234-80-7352-6252 and you should make sure that you attach the western union payment slip to my email immediately you make the payment. The WORLD BANK to transfer / delivery to you a total sum of $31.500.000.00 Million United States Dollars to you as soon as you are following my instructions, I have told you that your should response To instruction from the World Bank to release and pay All foreign Inheritance funds to their beneficiaries, What was registered in our payment notification is $31.500.000.00 Million United States Dollars. As a matter of fact we do not have enough time to waste since we have wasted time in contacting our respective beneficiaries, so try and comply with the essential remittance requirements to ensure the swift release of these funds to you. You have some token fees to pay which has be given to you earlier,this will validate the authentication of your inheritance funds to be transfer / deliver to your care asap as true beneficiary of the said funds as it has been long due to be claim in our vault until we got your true contact. The more fast you are in getting back to us with the fees determine how fast we will be in concluding with you, urgently get back to us as we are here to serve you better. Please, Follow the instructions given to you and do get back to us as soon as possible to enable us commence immediately and complete your transfer without further delays. Thanks for your understanding/co-operation towards the conclusion of your approve fund. Mr. David Gates, From World Bank Director Of Foreign Remittance Department. Thanks for your email. You should get back to me immediately today. The Federal Republic of Nigeria Government Head of State. The President Goodluck Jonathan Has Approved Your Payment Complete In Your Favor And Also The CBN Head of Operation Key Telex Wire Transfer Control Department. Dr,Goodluck Elebe Jonathan (GCFR) President Federal Republic of Nigeria,and the United Nations Secretary General, has agree to settle you this week. From World Bank Director Of Foreign Remittance Department. Thanks for your email. Regards your mail response, You are a very luckly person that your name is among the unpaid beneficiary’s. I am glad to tell you that your Compensation / inheritance funds is real. From The Payment Office Director Of Foreign Remittance Department. This is to acknowledge the receipt of your mail which the content are well noted. I am waiting to hear from you. Keeping silent cannot settle the issue. If you want the bank to go ahead and cancel your compensation payment that worth million of dollars. At various times, he’s used the email addresses office-payment2015@yandex.com, office.p@mail.com, mrdavidgate@gmail.com, mrdavid.gates@mail.ru & office.payment2015@yandex.com and the phone number +2348073526252.